Margarita Chorizo ​​Fino 12/12 oz. Margarita Crema Agria 12/16 oz. Salsa Verde or Pico de Gallo. 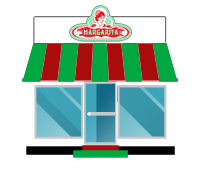 Margarita Fresh Cheese 12/12 oz. Cheese Cotija Granted 12 oz. PREPARE: You cook the potatoes with the husk and everything, to know when they are already uncertain a knife. You put the chorizo ​​Margarita in a pan to brown. When the potatoes are already cooked, you remove the skin, and crush them with a spoon until they are as porridge, stir the potato with the sausage. 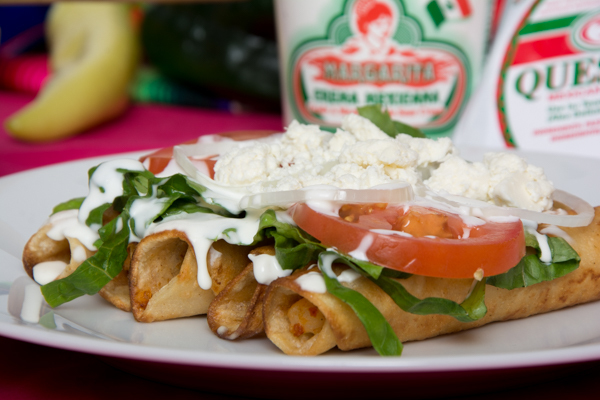 You put the prepared to the tortilla and the wrap as taquito and you put a toothpick so that it does not unwind and you put them to gild in oil, do not let them burn them but they are light brown color. You put the tacos in a flat dish, you put the cream, then the lettuce, the sauce and the cheese. Heat 2 tablespoons of oil in a large skillet. Place 3-4 Sopes in skillet, fry on both sides, approximately for 2 minutes. Repeat with remaining sopes. Set aside and keep warm. Heat the your choice of Beef or Pork Chorizo and heat thoroughly. Remove from heat. 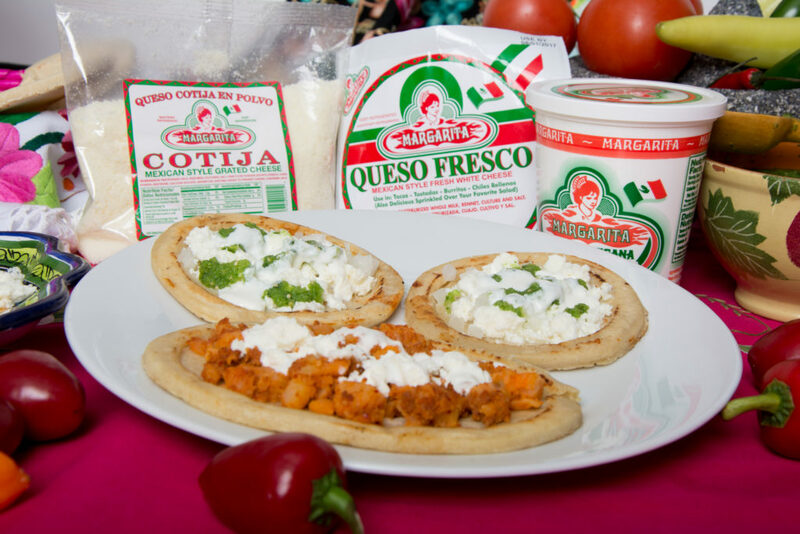 Spoon of chorizo mixture onto each sope; follow with crumbled Cotija cheese or Fresh cheese, sour cream and top with Salsa Casera.